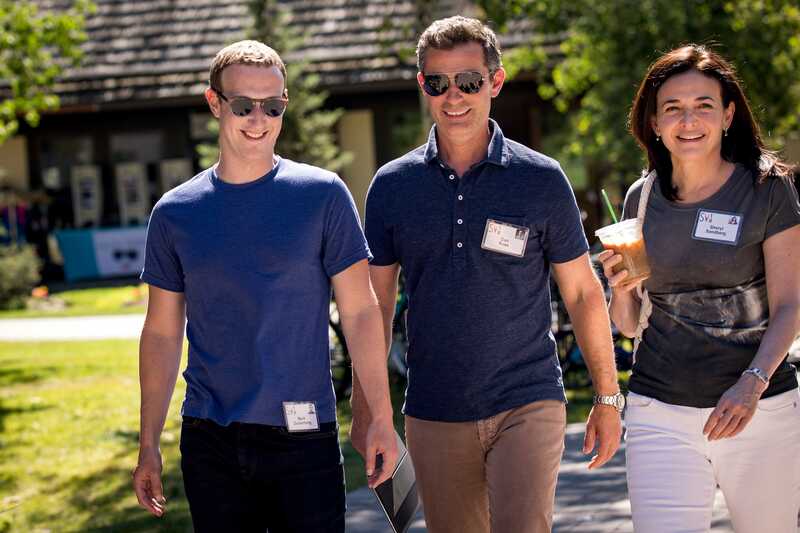 Drew Angerer/Getty ImagesMark Zuckerberg, chief executive officer of Facebook, Dan Rose, vice president, partnerships at Facebook, and Sheryl Sandberg, chief operating officer of Facebook, attend the annual Allen & Company Sun Valley Conference, July 12, 2018 in Sun Valley, Idaho. The report sparked immediate outrage from critics and privacy activists, who fear the Silicon Valley tech firm is attempting to gobble up ever-more information, mere months after an unprecedented crisis over how it handled user data in the Cambridge Analytica scandal. To read more about Facebook’s talks with major banks, click here. How Pepsi’s CEO predicted the death of soda and saved the beverage giant in the process. Nooyi’s strategy has been to push PepsiCo to build out its snack business and double down on healthier brands. A top Amazon TV boss left after less than a year amid reports she made ‘inappropriate comments’ in a meeting. Heather Schuster, head of unscripted TV at Amazon Studios, is leaving following an internal investigation into alleged comments she made in a meeting, according to Deadline. MillerCoors is killing the beer it created to win over millennials, just months after introducing the brew.Two Hats was intended to win over the “next generation of beer drinkers” as millennials gravitate towards wine and spirits. The Justice Department argued Monday that a trial judge ignored “fundamental principles of economics and common sense” when he allowed AT&T’s acquisition of Time Warner Inc., reports the Wall Street Journal. The government’s arguments came in a brief filed in federal appeals court, where the Justice Department continues to challenge the more than $US80 billion cash-and-stock deal-even after the companies completed the transaction in June upon winning a six-week trial.